Thank you to everyone who made this past Saturday’s event a success! Feed Our Babies USA hosted the Borderlands POWWOW program at our Pantry. 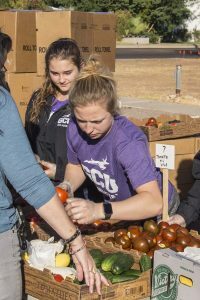 The Borderlands POWWOW program rescues produce directly from the warehouses of produce distributors, with a majority of it having been processed for the landfill simply because the distributors were unable to market it. This produce is available to anyone – 60 pounds for only $10.